Despite the name, not all black bears have black fur. A typical bear will have dark fur and weigh around 300 pounds. 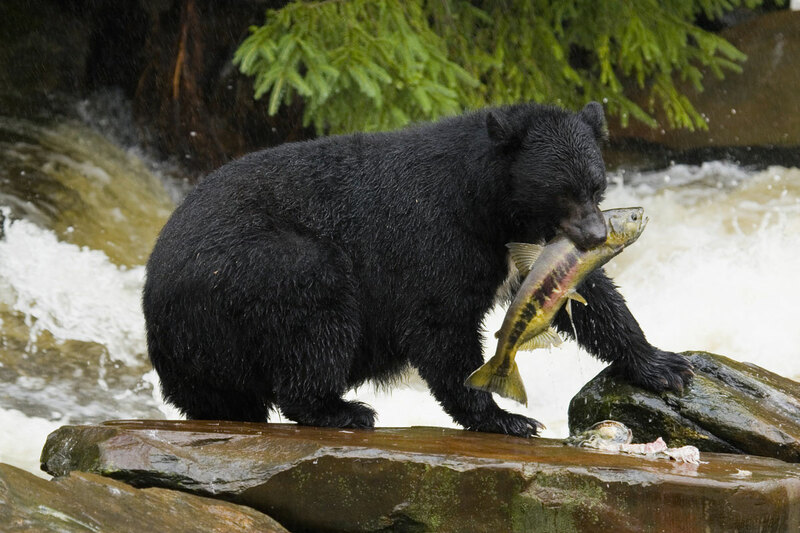 Be sure to cover up that picnic basket because black bears eat nearly anything and are drawn to food. During the winter months, black bears hibernate. Black bears inhabit mountainous areas in the western half of Montana. They try to avoid humans as much as possible. It's rare to see any bear in the wild, and you might consider yourself lucky if you DON'T see a bear. All bears are potentially dangerous and are highly unpredictable.